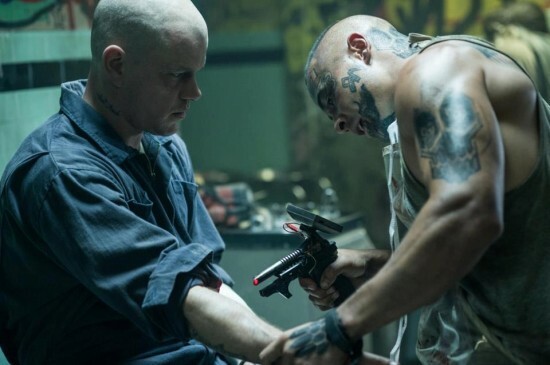 A new Elysium trailer has arrived from Sony Pictures. Directed by Neil Blomkamp the highly anticipated sci-fi thriller stars Matt Damon, Sharlto Copley and Jodie Foster. The new trailer features more footage that give us a closer look at story details for this high-concept film. Elysium opens in theaters on August 9th, keep reading to watch the new trailer! 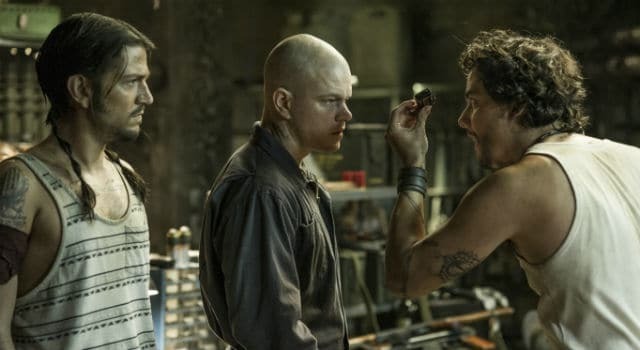 In the year 2159, two classes of people exist: the very wealthy, who live on a pristine man-made space station called Elysium, and the rest, who live on an overpopulated, ruined Earth. The people of Earth are desperate to escape the planet’s crime and poverty, and they critically need the state-of-the-art medical care available on Elysium – but some in Elysium will stop at nothing to enforce anti-immigration laws and preserve their citizens’ luxurious lifestyle. The only man with the chance to bring equality to these worlds is Max (Matt Damon), an ordinary guy in desperate need to get to Elysium. With his life hanging in the balance, he reluctantly takes on a dangerous mission – one that pits him against Elysium’s Secretary Delacourt (Jodie Foster) and her hard-line forces – but if he succeeds, he could save not only his own life, but millions of people on Earth as well.